The FDA today issued draft guidance detailing its plans for regulating laboratory-developed tests (LDTs) that it deems as “high-risk” along the lines of Class III medical devices—setting up a showdown with academic medical centers and other developers of the tests, which have opposed efforts at imposing new rules. In a few days, the agency said, it will launch a 120-day public comment period that will begin with publication of a formal notice of the release of the draft guidances in the Federal Register. Released by the FDA today were two draft guidance documents: Framework for Regulatory Oversight of Laboratory Developed Tests (LDTs); and FDA Notification and Medical Device Reporting for Laboratory Developed Tests (LDTs). The FDA has historically exercised only enforcement discretion over LDTs designed and used within a single laboratory, and had not sought to regulate their entry to market as is now required for Class III medical devices. FDA Commissioner Margaret A. Hamburg, M.D., and other agency officials have sought to justify the new rules by saying that today’s LDTs differ from those that were around in 1976 when current rules took effect. Unlike then, the agency contended in the draft guidances, many of today’s LDTs are much more complex, made with components not legally marketed for clinical use; used beyond local populations; manufactured in high volume; used widely to screen for common diseases rather than rare ones; and used for directing critical treatment decisions such as prediction of drug response. “There is a wide range of risks associated with the wide variety of LDTs. Thus, FDA believes that a risk-based approach to regulatory oversight of LDTs is appropriate and necessary to protect patient safety,” the FDA stated in its Framework draft guidance. LDT developers maintain that the tests are “laboratory testing services” and not medical devices subject to the Food, Drug, and Cosmetic Act (FDCA). At present, labs certified under the Clinical Laboratory Improvement Amendments (CLIA) waiver program may develop and use their own diagnostic tests internally, without FDA oversight. As detailed in July, the FDA said it plans to begin premarketing approval (PMA) review requirements within 12 months after a final guidance for the highest-risk devices and phase it in over four years for the remaining high-risk devices. The devices would stay on the market during FDA review. 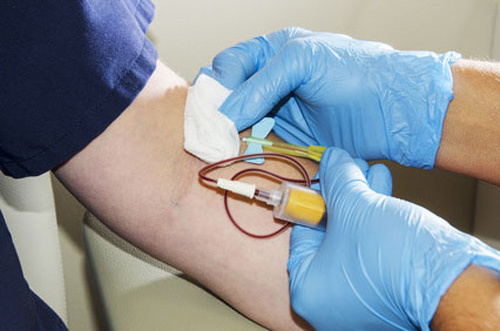 The agency said its focus on “high-risk” devices will begin with LDTs that have the same intended use as a cleared or approved companion diagnostic, followed by LDTs with the same intended use as an FDA-approved Class III medical device, and some LDTs designed to determine the safety or efficacy of blood or blood products. All other LDTs will be prioritized for review using a public process with expert advisory panels “as appropriate,” the FDA said. The agency promised to provide advanced notice on the timing of enforcement of the new rules to manufacturers whose LDTs fall into high- and moderate- risk categories. The FDA also said it “intends to” publish priority lists for its review of high-risk LDTs within 24 months of a final guidance—with enforcement for the initial prioritized group beginning “no less than 12 months” after the list is announced—as well as publish a priority list for “moderate-risk” LDTs within four years. The FDA said it will hold a webinar on October 23 at 2:00 p.m. EDT, to address clarification questions on the proposed framework. Details on dialing in and viewing the slide presentation are available here. LDTs introduced to market on the date of publication of the final guidance, and for six months afterward, will be subject to FDA enforcement discretion as is now the case.